The Bush administration made a "fatal mistake" by talking up facts and figures without painting a broader picture of the obstacles in its widely criticized Hurricane Katrina response effort, ex-FEMA chief Michael Brown said Thursday. Brown told CNN's Anderson Cooper that the talking points he and other federal officials used at the time didn't tell the whole story. A mother whose daughter is suffering a rare form of cancer at an area hospital could be asked to leave early next month. Barbados resident Petrah Gooding brought her 7-year-old daughter Niamh Stoute to Atlanta in November to be treated for neuroblastoma at Children’s Healthcare of Atlanta’s Aflac Cancer center. U.S. Immigration and Customs Enforcement extended Niamh’s nine-month visitor’s visa to allow her to continue receiving treatment, but Gooding was told she would have to leave her daughter’s side on Sept. 2. When police arrested Anthony Graber for speeding on his motorbike, the 25-year-old probably did not see himself as an advocate for police accountability in the age of new media. But Graber, a sergeant with the Maryland Air National Guard, is now facing 16 years in prison, not for dangerous driving, but for a Youtube video he posted after receiving a speeding ticket. 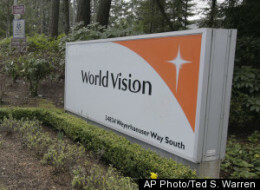 World Vision, the Christian humanitarian organization, can fire employees who disagree with its theological tenets, a federal appeals court ruled on Monday (Aug. 23). In a 2-1 decision, the 9th U.S. 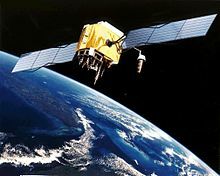 Circuit Court of Appeals said that World Vision is a "religious corporation" and therefore exempt from a federal law that bars faith-based discrimination. Supreme Court tells “birther" leader to pay up A leader of the generally ridiculed movement which believes President Obama was not born in the United States must pay a $20,000 fine she was slapped with in 2009, the nation’s highest court ruled Monday. 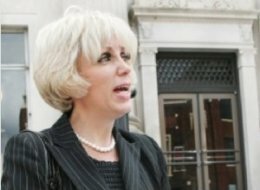 Orly Taitz, a dentist and lawyer in California, received the fine for a lawsuit she filed in Georgia on behalf of Army Capt. Connie Rhodes, who refused to be deployed to Iraq, arguing that the orders weren't legitimate since Obama is not eligible to be President. A US appeals court has upheld a ruling that blocks schools in the state of Massachusetts from teaching literature that denies the mass killing of Armenians in Turkey in 1915 was a genocide. The ruling came in response to a 2005 lawsuit filed by the Assembly of Turkish American Associations, a US lobbying group. A lower court dismissed the suit in June, and the appeals court upheld that decision on Wednesday.